Happy October! Personally, it’s my favorite month of the year, with the slight chill in the air, gorgeous colors all around me, postseason baseball on the TV, and pumpkin ales on the shelf. Plus the month ends with Halloween, the best holiday in my humble opinion! 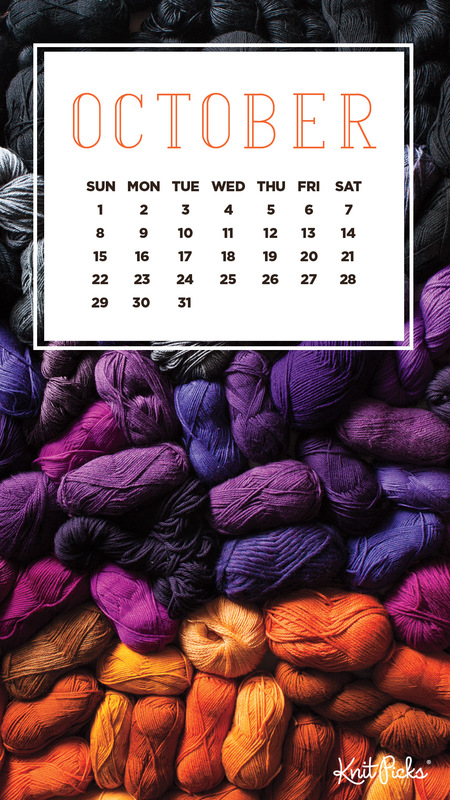 To celebrate we have a brand new calendar, showing off our favorite October colors – from orange & yellow leaves to spooktacular purples & greys. 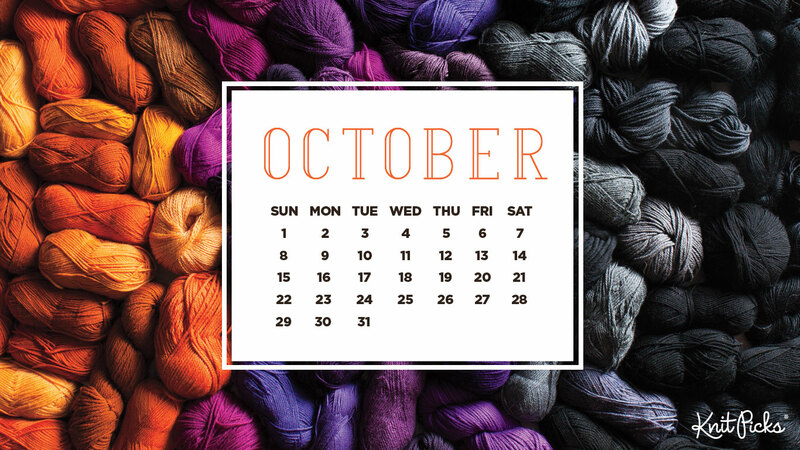 To get the October 2017 calendar background of your choosing (for smart phones, tablets and desktop computers), simply click the applicable device icon below. Enjoy! 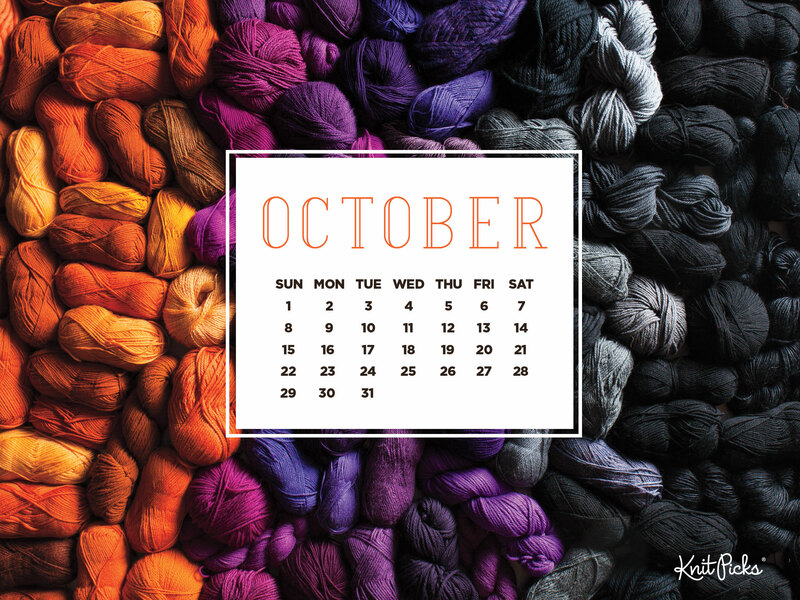 The post Free Downloadable October Calendar appeared first on KnitPicks Staff Knitting Blog.